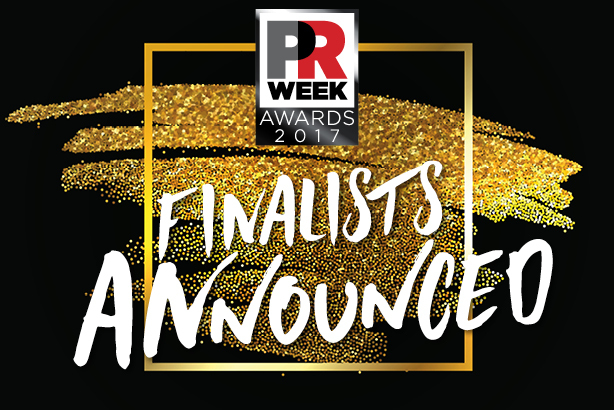 Here are the 175 finalists for the 2017 PRWeek US Awards. The winners will be revealed at a dinner in New York City on March 16, 2017. Maya Rudolph Comes Clean About Feminine Care with Seventh Generation’s "Vajingle"
What’s Behind the Yellow Sign? "That Guy: Study Links Campaign to Positive Behavior Change"
Risas Dental: Smiles, Everyone, Smiles! Maine Lobster Marketing Collaborative - "Maine After Midnight"
Candidates are the respective winners of the Outstanding Boutique, Small, Midsize, and Large Agency awards. The winner will be announced at the Awards ceremony on March 16. Candidates are the winners of the campaign awards, to be announced at the Awards ceremony on March 16. After each of the campaign awards has been determined, the Judges chair and PRWeek’s editor-in-chief convene to discuss those entries in depth. The group is narrowed down to a final five and, from those, the PRWeek Campaign of the Year is selected.